One action that separates high-quality Coolant Fluid Exchange Service with low-quality service is being thorough. 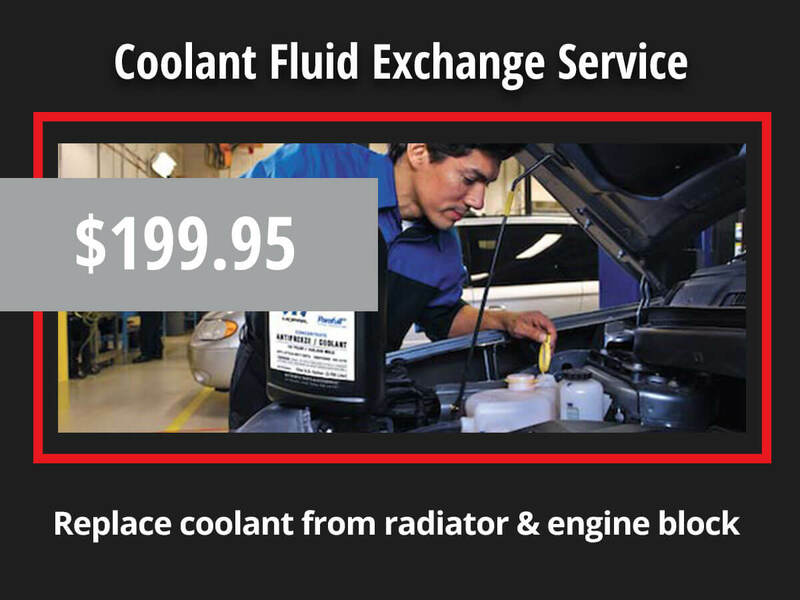 Los Angeles Chrysler Dodge Jeep Ram knows that thorough Coolant Fluid Exchange Service includes total fluid exchange. Simply draining and refilling the coolant in the reservoir is inadequate because it will miss some of the old, dirty, acidic coolant left in the radiator and engine block. This means that we will always have a certified technician use special equipment and a cutting-edge maintenance protocol to remove all of your old coolant fluid from the radiator and engine block as well. Sometimes people try to save a few bucks by using generic coolant in their vehicle. We don’t recommend taking such a preventable risk because non-genuine coolant cannot provide any performance guarantee. The only way to know that the coolant you have will work right is to only accept genuine manufacturer-approved coolant. Genuine manufacturer-approved coolant has been tried and tested to guarantee that it will do its job right. At Los Angeles Chrysler Dodge Jeep Ram, we only recommend Coolant Fluid Exchange Service with the experts that know your vehicle the best. All of our certified technicians have extensive training and experience with your make and model and are ready to provide you with valuable Coolant Fluid Exchange Service. If you need to remove your old coolant to protect your vehicle, it’s time to schedule service with Los Angeles Chrysler Dodge Jeep Ram to have one of our certified technicians totally flush out your old acidic coolant and replace it with new genuine manufacturer-approved coolant.